This year, Interior Health (IH) is looking at piloting new training for health-care providers, one that will hopefully create more empathy toward patients presenting with substance abuse. The training would be the same that mental health and substance use staff go through, but given to those working in frontline areas like emergency departments. "The idea (is) trying to build more empathic responses and build a greater understanding for some of the reasons people are using substances," says Rae Samson, director of substance use services for IH. "To try and help providers have a better understanding of how to be more empathic in terms of their engagement with people who present with substance use disorder. We try and shift the system away from a more stigmatizing approach." That pilot will likely run in Kelowna in the next couple of months. It marks one of the ways the health authority is trying to respond to a troubling statistic regarding the recent opioid crisis: nearly 90 per cent of people who overdosed in B.C. had engaged with the health-care system in the year before their overdose. 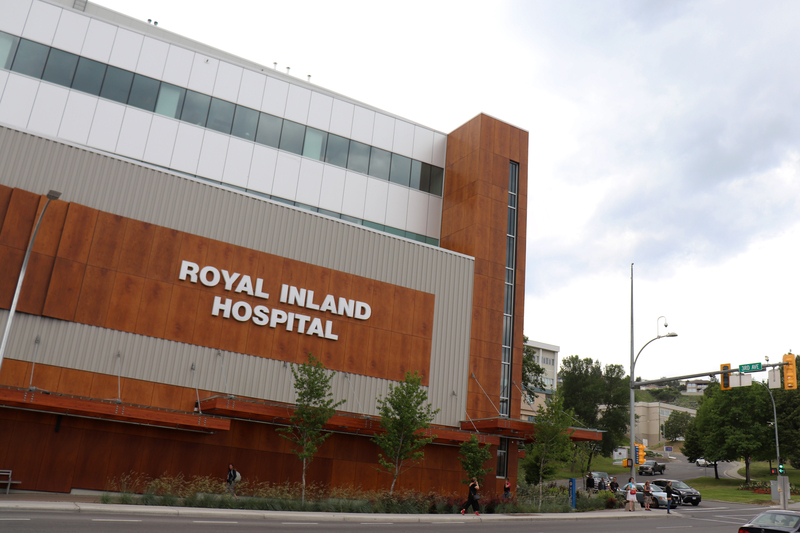 Whether it was through emergency departments, hospital admissions and appointments with community physicians, there was a chance to connect with many people who showed signs of substance abuse and would go on to have an overdose, either fatal or not. That stat was one of several to come out of a 2018 study published in Health Promotion and Chronic Disease Prevention in Canada. "It also shows that many people who experienced an overdose had previously been to the emergency department and may have left without being seen by a doctor or left against medical advice," says Gillian Frosst, manager of IH's epidemiology and surveillance unit. "This really highlighted an important opportunity to further engage people at risk of an overdose across the continual health services." Without a key dataset, studies like that couldn't provide insight into the ongoing opioid crisis. In fact, to inform a lot of their opiate policies, health authorities are looking to the provincial overdose cohort, the first of its kind in Canada. While the most reported statistics about the ongoing opioid crisis come directly from the B.C. Coroners Service, those are far from the only numbers being compiled. When the province first declared a health emergency for the opioid crisis back in 2016, the B.C. Centre for Disease Control (BCCDC) began assembling instances of overdoses from across the health-care industry: B.C. Ambulance, emergency departments, poison control, coroners service and more. The goal was not simply to have a list of overdose events across the province though; in order to get a detailed understanding of the at-risk population, health-care histories for each individual were collected, linked and compared to a random sample of B.C. residents. The result was the cohort, a way to almost map interactions of overdose victims with the health-care system and find common factors that they share. "Most people are focusing a lot on monitoring and measuring the deaths that occur and if you take a look at what has been collected and assembled through the cohort, it really gives you a broader sense of the magnitude of what's going on," says Laura MacDougall, who headed up the provincial cohort study. "The difference with this is we've linked all these sources together. A person is identified in this dataset and we can see how they move through the whole system. Did they have an ambulance record? Were they admitted? Did they die? We can see all of their characteristics linked throughout the health-care system. Often times the surveillance systems are looking at those as single-data streams. ... The purpose of this is for a more in-depth understanding of who is at risk and what are their characteristics." The initial cohort study took over a year to compile and has linked data of 10,456 people in B.C. who experienced an overdose between Jan. 1, 2015 and Nov. 30, 2016. Because of the collaborative effort it took to make, all stakeholder agencies can access the cohort data and have a say in what studies should be prioritized when looking at the overdose population. "One of the interesting things about the cohort is it's a collective use in a sense," says MacDougall. "We have a limited number of resources to analyze it and wanted to make sure that the things that we were studying and investigating were the right things and would help inform a response. There was a lot of effort that went into determining what groups we should look at first and we established teams of people to look at specific topics." The 2018 study mentioned earlier was one example of such analysis. Examining the cohort data, they found that 54 per cent of cases visited the emergency department in the year before an overdose event and 19 per cent of those patients either left without being seen or against medical advice. Of those who did stay for assistance, substance use and mental health-related concerns were the most common diagnoses among those who went on to overdose. Another analysis of the cohort has focused on the prescription drug patterns of those who have overdosed. According to that study, "at the time of overdose, 92 per cent of men and 86 per cent of women did not have an active opioid for pain prescription, and approximately half had not filled one in the past five years." "There are avenues and opportunities for intervention," says MacDougall. "These findings are just scratching the surface of what's there. For example, you can use a tool like this to monitor the impact of policy changes in terms of the college having changed some of its recommendations for opioid prescribing, you can see what the impact of that actually was on the prescribing rate." However, all of this analysis has been conducted by BCCDC researchers so far. The cohort is available for other researchers to access, and MacDougall says the unique dataset can have applications in other parts of the nation. "It was a fairly time-intensive thing to put together and it has a lot of utility, a lot of people can be learning a lot of things from this cohort, so we've been partnering with Population Data B.C. and we're making a version of the cohort available to Canadian researchers who are interested in applying to use it," she says. "We're trying to open up this asset and allow it to be used by a number of interested groups. The cohort will be updated yearly, allowing for a more complete understanding of the characteristics of those suffering from the opioid crisis. It will also help health authorities evaluate the impact and effectiveness of policies and responses to the ongoing crisis. And there have been more than a few local policies shaped by this cohort. With the cohort highlighting the missed opportunities for engagement with potentially at-risk people who wander into their emergency departments (ED), clinics and physicians' offices, Interior Health has taken a few different approaches to reach out to those with substance use issues. They've put in work to improve their referrals from emergency departments to local organizations that specialize in dealing with substance use or mental health issues. New jobs have even been created for just that role. "We've actually used some of the funding we got from the province to create new positions, which we call connection positions," says Samson. "Their job is to ensure when someone presents with an overdose to an ED, that we use that opportunity to make connections and ensure that we follow that person until they transition to the next service. "So one priority, of course, is getting connected with physician care to see about an opioid agonist treatment (OAT). The other might be to connect them with day treatment programming. That's a key role and it has been highly effective." There are currently four of those positions in the four biggest Interior communities, including one right here in Kamloops. In response to the crisis, the Ministry of Mental Health and Addictions has been focused on expanding OAT prescribing. Samson makes a point of acknowledging the efforts made by Kamloops physicians to make that treatment accessible right after an overdose event. "They've been leaders in terms of making OAT available within a 24-hour period by having a group of doctors who are on-call, so whenever a client presents at any one of our settings, maybe the supervised consumption service or in the (ER), they can access the OAT services within a 24-hour period which is a timeline that aligns very well with the evidence of saving lives," she says. Along with encouraging new ideas, the cohort study has also been able to provide supporting evidence for already accepted information, like the dangers of using drugs alone. "Most people who died from an overdose in 2015-16 did not have an associative ambulance response, meaning that 911 wasn't called," says Frosst. This reinforced some of the information we had received from other sources and kind of knew already, (that) the risk of a fatal overdose goes up significantly when there isn't someone else in attendance." As a result, IH launched the UseSafe survey in Kelowna to get a better understanding of why people use alone. Frosst says the anonymous survey is helping improve services for people who use drugs but don't want to access services because they're afraid of the stigma. It's also been generally well-known that the opioid crisis has hit First Nations communities hard. However, the impact wasn't fully realized until the First Nations Health Authority used cohort data for a report issued in 2017 that showed an incredibly disproportionate amount of overdoses among First Nations people. Despite accounting for 3.4 per cent of the provincial population, they accounted for 14 per cent of all overdose events, including 10 per cent of overdose deaths. First Nations people were five times more likely than non-First Nations people to overdose. "In response, Interior Health has included developing an Aboriginal-specific overdose working group to inform and support IH planning," says Frosst. "So this group is really looking at strategies to address some of the gaps for Aboriginal people in the most impacted communities within the Interior region." The working group includes representatives from the First Nations Health Authority, Metis Nation B.C., Urban Aboriginal service providers and Interior Health's Aboriginal Mental Wellness director. As for future analysis of the cohort data, Frosst is hoping there will be an examination of the link between incarceration and overdoses. Does This Cohort Really Matter? It isn't a perfect encapsulation of the overdose crisis. As MacDougall notes, if no one utilizes any health service or there is no associated call, their overdose won't be recorded. But it is one of the most comprehensive collections of information surrounding the ongoing overdose crisis. "The development, oversight and analysis of the Provincial Overdose Cohort marked a fundamental shift in the way that B.C. manages public health data assets. It represents a departure from the model where one agency holds, manages and analyses data with input from stakeholders, to an environment where teams of analysts from all stakeholder agencies access a common data platform and jointly conduct work that has been collectively prioritized by the broader public health community," wrote MacDougall in a paper describing how the cohort was assembled. Considering the opioid crisis is unlike anything the province has ever seen in terms of a health crisis, it makes sense that it would fundamentally change how the public system operates. "We will continue to look for more ways to connect people to substance-use care at every opportunity, and we will work with our partners to gather and understand data on overdose and substance use to save lives and inform our overall Mental Health and Addictions Strategy," said a statement from the Ministry of Health and Wellness. "Through this work, we are laying the foundation for a seamless, coordinated system of care where people living with addiction and mental health challenges can ask for help once and get help fast." As time goes on, more and more suggestions will come forward in how to combat the growing number of opioid-related deaths in B.C. and a study like this can help determine if that's a gap that needs to be addressed. If you're a believer in The Art of War, the cohort study is a notable way provincial health authorities can know their enemy. An enemy that is not going away anytime soon.